Law Wai Ting（羅瑋庭） has pursued an extensive career as a solo pianist, violinist and chamber musician. As a pianist, he performed in New York Weill Recital Hall at the age of 13 as a solo pianist after capturing the second prize in Hong Kong Generation Next Arts Piano Competition. In 2013, Law was awarded the second prize of the International Deutscher Irmler-Klavierwettbewerb Piano Competition. In the same year, Law performed Rachmaninoff Piano Concerto No. 2 as a soloist jointly with La Salle College Symphony Orchestra and Auckland Grammar School Symphony Orchestra. Law was later awarded the runner-up of Student of the Year – Performing Artist Award presented by South China Morning Post. That summer, Law captured the champion at the Princess Galyani Vadhana International Competition Piano Trio group in Bangkok, being the first Hong Kong chamber group to win this award. 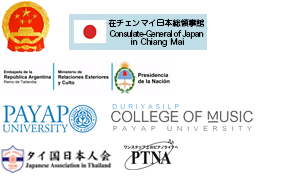 Last year, Law was awarded the champion in the Open Category at the Chiang Mai Ginastera International Music Festival. Law was also the piano accompanist at the 5th Seoul International Harmonica Festival and the 12th Asia Pacific Harmonica Festival. Recently, Law was invited to perform Rhapsody in Blue with the legendary Saturday Night Jazz Orchestra in Big Band Era 2018, receiving tremendous applause. As a violinist, Law is currently the Music Director of Strings Amarta. Law began his performing career in 2014 when he led his team to play in Les Miserables in Concert organized by Hong Kong Youth Choir in Cultural Centre. Law had performed for many occasions since then such as METRO – Prime Awards For Brand Excellence, UBS – Hacken on Stage with UBS, M Racing Team Gala Dinner along with other companies including Louis Vuitton, Qatar Airways and EF Education. His public appearance on stage includes a 2 months event Springtime with Love in 1881 Heritage; Play Me I’m Yours in PMQ initiated by British Artist Luke Jerram; Supernova Stage in K11; Bubble up – Evening Buskers in Harbour City; Music Geographic and Music in Town in Shatin New Town Plaza, which his joint performance with award-winning erhuist Chu Wan Pin was highly praised. 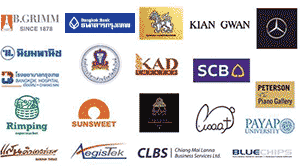 He also performed in the closing ceremony of IFX Expo, the largest financial B2B expo in the world. He recently collaborated with film music composer Elliot Leung to play in the film THINK: The Legacy of Think and Grow Rich as a solo violinist. Law was the vice concertmaster of Chung Chi College Symphony Orchestra, the first violinist in both Learners’ Orchestra and Hong Kong Youth Symphony Orchestra, the second violin principal of Hong Kong Festival Orchestra and the concertmaster of La Salle College Symphony Orchestra. Law started piano training in HKAPA Junior Music Program under the guidance of Ms. Nancy Loo, Dr. Mary Wu and Mr. Raymond Young. He was also privately taught by Prof. Yang Bo Zi in violin and achieved both piano and violin LTCL at a young age. Law just graduated from Bachelor of Business Administration from Chinese University of Hong Kong. So Wai Lung（蘇颹龍）, currently a year 3 MBBS (Bachelor of medicine and bachelor of surgery) student in University of Hong Kong, has been learning the piano since 5 years old. Under the guidance of Mr. Ma Chong and Dr. Eleanor Wong, he had been in the Junior Music Program of the Hong Kong Academy for Performing Arts since 2004, major in Piano. He passed the Trinity College London Associate Diploma (ATCL) in 2008 at the age of 10 with distinction. He has achieved great results in various competitions. 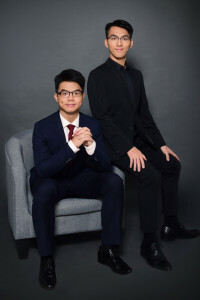 He was the first-prize of The 14th Asia Piano Open Competition – Mozart Sonata Open Class in 2007, the 1st runner-up of 73rd Steinways and sons International Youth Piano Competition (Hong Kong region and received excellence award in China Grand final. He was also the champion of Piano Concerto Age 18 or under- Betty Drown Memorial Prize in Hong Kong Schools Music Festival, and represents Hong Kong to participate in Llangollen International Musical Eisteddfod. In the same year he was awarded the 1st runner up in Asian Youth Music Competition (age 16 or under). In the year after, he was the champion of Gold Medal Award (Open Class) Age 23 or under in Hong Kong Schools Music Festival. In 2017, he was chosen as one of the RTHK Young Music Makers. 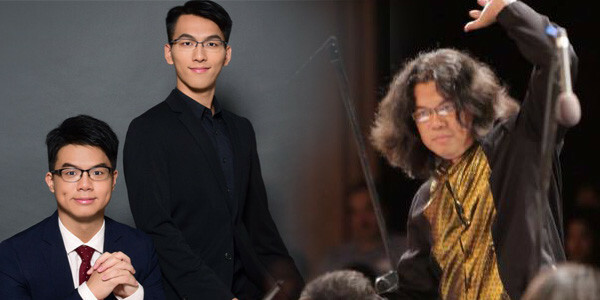 He was also the winner in the Chiang Mai Ginastera International Music Festival (open category). He has also been invited to various concerts: Everlasting Mozart- Piano Marathon (2006), Music concert for the year of Chopin and Schumann (2011), and Concert to commemorate 150th anniversary of Claude Debussy’s birthday (2012). He was also the representative for Hong Kong in the joint broadcast concert co-organised by the Hong Kong Academy for Performing Arts, Macao Youth Symphony, Tainan University of Technology and Shanghai Media Group.